Order your quality tile of "Northern Residents Pod Killer Whales Commercial Fisherman" now! 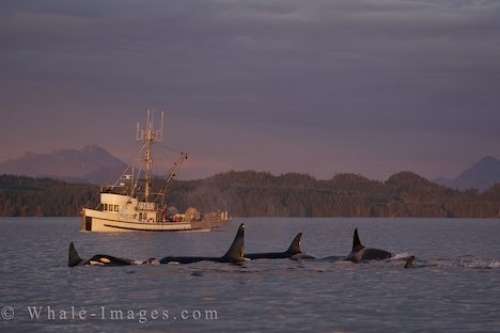 Photo of a pod of Killer Whales from the Northern Residents traveling together at sunset as a commercial fisherman passes by. "Northern Residents Pod Killer Whales Commercial Fisherman" tile!